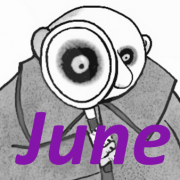 Sometimes a month flies by with major casino developments happening weekly. 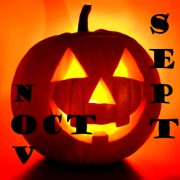 Other times nothing much happens for a whole month or two. Then there’s the added distraction of long hot summer days and a major sporting event to occupy your limited free time. Put simply, here’s a summary of all things live dealer that caught my attention over the last few months and not just the usual monthly findings. Chances are you know all about this year’s World Cup tournament and caught at least some of the action. No, I’m not just referring to the actual matches in Russia. More specifically the live dealer games in Latvia, Malta and elsewhere with a football spin. Evolution Gaming played it simple. Tactically very simple, with just a special Football studio themed table based on live Dragon Tiger. The uncomplicated nature of the game allowing Russia 2018 chat to take centre stage. Up to now the Football studio table has remained open long after the final whistle of Russia 2018. A handful of private table areas at Evolution immersed themselves more so into the tournament with trimmings and various promotions. Even 777 dealers were sporting a welcome change of team strip (unlike Halloween, Christmas,…). Here’s hoping we won’t have to wait another four years to see 777 dealers minus the ladybird Alien neckhuggers. Not for the first time on special occasions PokerStars (always worth checking out) private tables were in a different league to most of the opposition. Decoration details included pitch markings on blackjack tables. Playtech was less exuberant than previous tournaments, although in reality as I’ve said before this is the new Riga studio status quo when it comes to promotions. 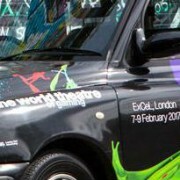 This time around no studio wide sightings of dealers in shorts, colourful makeup, shirts, not even footballs. And no studio requirement that dealers should pick a favourite team and learn a few snippets of team information to enrich players with their apparent “depth” of knowledge. I can’t help remembering how last time Italian dealers were lamely fans of….yes you guessed it Italy…shocking! With Italy not having qualified for the 2018 tournament, do we suppose it was red card offence if Italian dealers mentioned football? And facing what punishment….sent home for the day or a tournament ban? 😛 . Anyway, this time Playtech opted to focus their pitchside banter on a reworking of the “winning” Disco tables formation. The special roulette and Unlimited BJ tables complete with football talk and a backdrop screen full of stats replacing the disco vibe. Alas the unwelcome pervasive tactic of cross table dealer talk was ever just a throw-in away. Like LD, you shouldn’t need VAR by now to know that’s always a foul in my book. In other football and Russia related news Marathonbet has dropped it’s Manchester United live tables at Evolution. More precisely, the tables including the Russian language blackjack remain open but are now minus the Man Utd label or stadium backdrop. It’s come about as a result of the previous sponsorship deal ending. 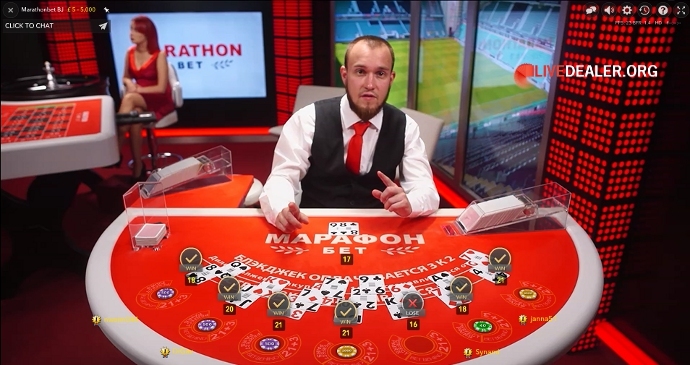 The dealers are currently still sporting the red dress and tie uniforms although this could change as Marathonbet has now become the official global betting partner of that other famous Manchester team, namely Manchester City. 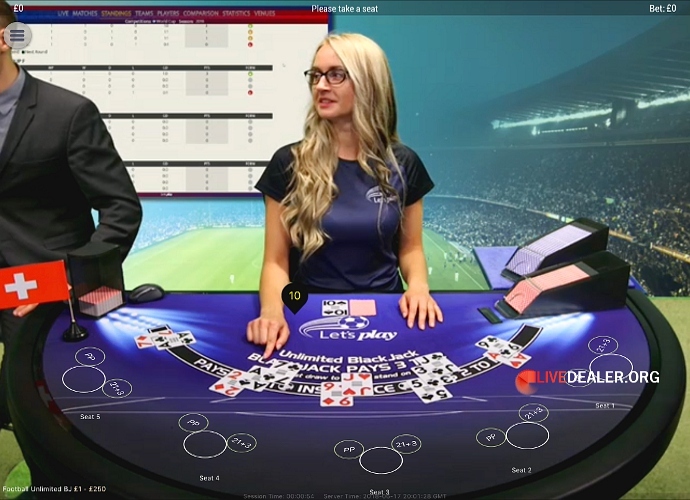 Evolution Dual Play tables are less of unique selling point and are becoming more a staple of all good online casinos in 2018. Seemingly so popular and understandably good for business of land based bricks and mortar establishments that casinos are now opening additional tables. 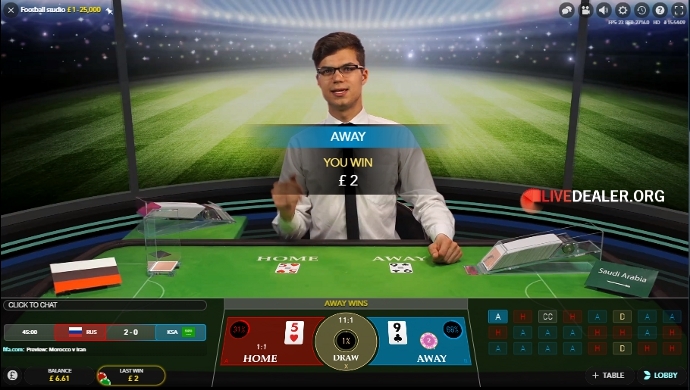 Earlier this year Grosvenor having launched it’s second Dual Play table (uniquely for now at Evolution Dual Play Baccarat), streamed from Grosvenor’s Victoria Casino. 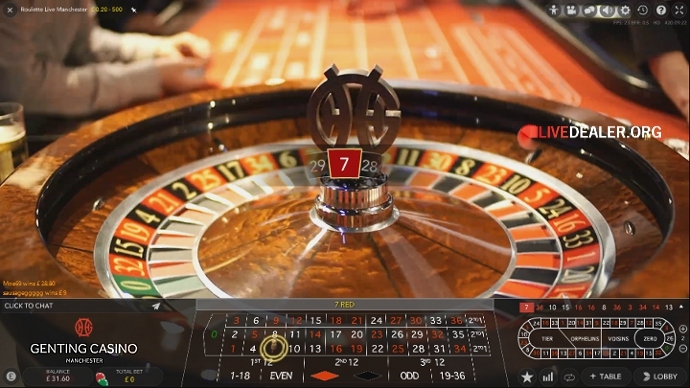 In June we had our first look at Genting’s second Dual Play Roulette table to go live, though this time from Genting Casino Manchester, rather than Birmingham, location of the first table. As with several other in-casino table setups, player conversations from around the table can be heard. On one session at the table I did find it amusing listening to one Manchester patron being told he couldn’t use his mobile phone at the table. Then hearing him chuntering on for a few more rounds how strict it was blah, blah. I wish more places in all walks of life enforced this rule. In a similar vein it’s a pity other forms of discourteous behaviour have been allowed to perpetuate online from players and increasingly encouraged from dealers. Yes I did say dealers, back to my old hobby horse again about dealers turning away from tables to talk to colleagues. It’s not cool, it’s so impolite, and all to commonplace now, sigh. 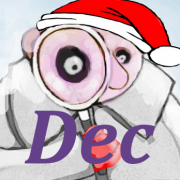 Moan over for this blog (good luck with that). Evolution Gaming also announced plans to open another Dual Play table at the Hippodrome Casino. 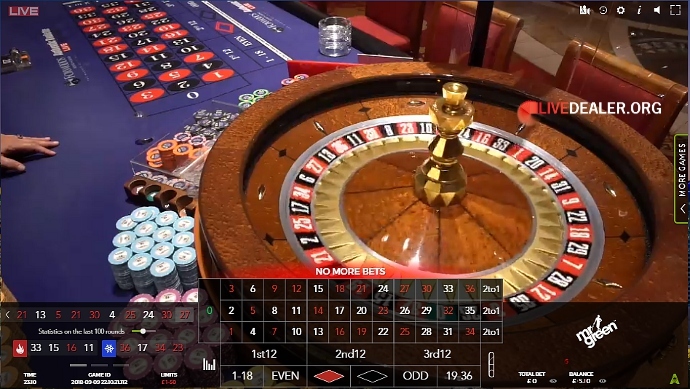 The second such roulette table in the London casino is earmarked to be up and running any time soon. In other Dual Play developments, the Shrangri La Casino table went live in July. In addition to which, further afield there’s a raft of new tables coming from across the pond (see below). You can keep abreast of all the latest in-casino tables opening in the dedicated section of the forums including a video clip of the Shrangri La courtesy of LD. Plus the new Denmark, Royal Casino Roulette from Authentic Gaming. And for good measure, just in time for these (much delayed) findings/musings came the press release posted by LD of Evolution Gaming’s Dual Play & studio deal with London’s iconic Les Ambassadeurs Club. 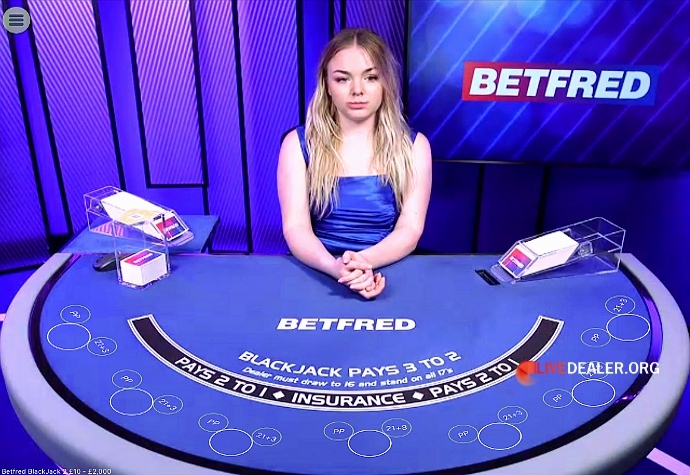 Betfred belatedly joined the the private table bandwagon last Autumn. Nothing spectacular for a casino with such a long standing association with Playtech, but at least it was something if only just a meager roulette table. 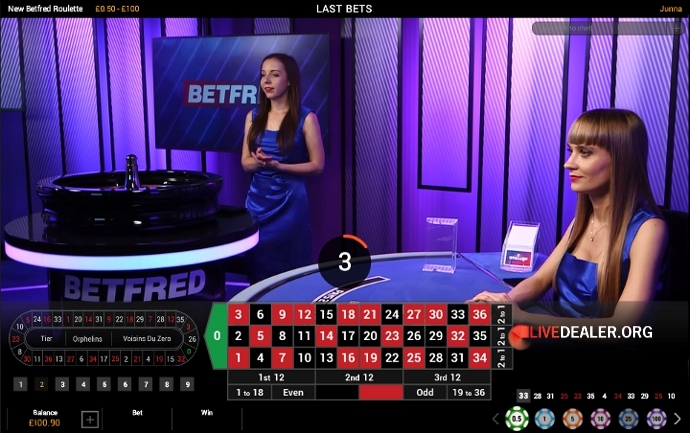 Gladly players didn’t have to wait several more years for another private table to come along with the launch of a new dedicated Betfred area in Playtech’s Riga studio. Still nothing in size compared with most other rivals, even those at Playtech. But at least the 3 private tables made up of 2 blackjack plus new roulette table offer a distinctive and appealing haven for players wishing to sidestep the Euro studio general access tables for whatever reason (or reasons in my case 😉 ). 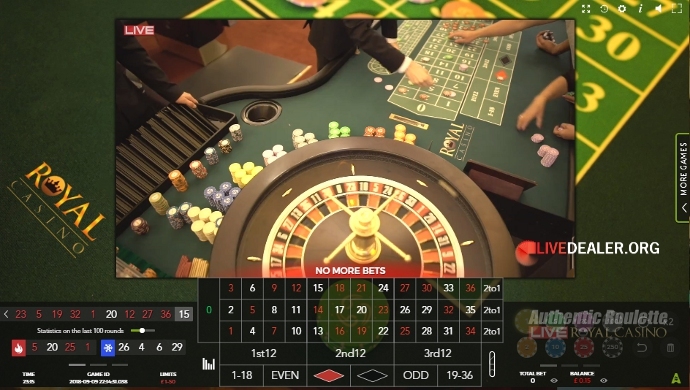 One of the camera angles on the new roulette table is unusual in that it looks across a blackjack table. 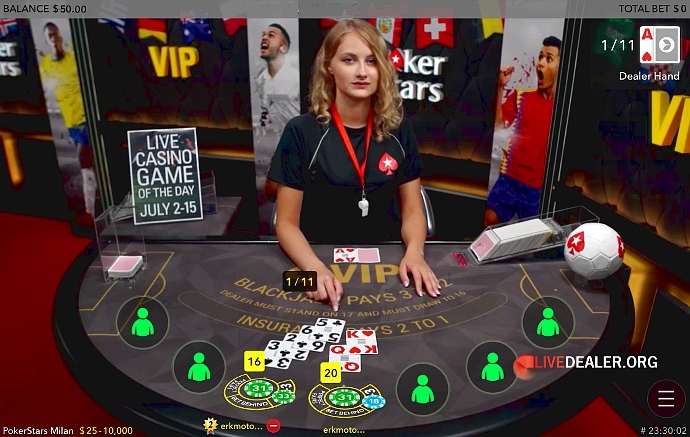 It’s a nice vantage point of the dedicated area, but obviously makes the dealer more on edge even when there are no players at blackjack….quite a common occurrence at many Playtech private tables and not the most fun to be had for dealers, but good for players wanting a seat 🙂 . When you consider the time and cost invested in bringing a new live game to fruition for online players it’s no real surprise if the platforms then look to milk the product for all its worth. 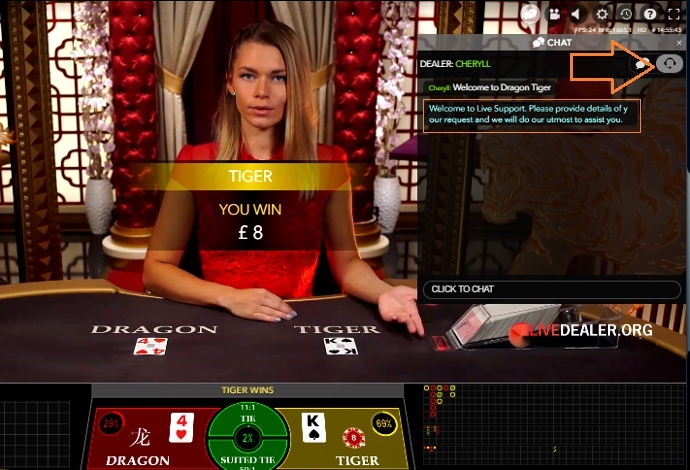 Prime example being the recently launched Dragon Tiger game at Evolution Gaming. Given all the complexities of the, as I liken it to betting on the toss of a coin game, and extensive dealer training sessions required (yes tongue securely in cheek mode) it was an obvious choice for the World Cup Football studio treatment. A perfect match in many ways with the dealer able to focus on football chat unhindered by numerous game rules and procedures. Whereas Dragon Tiger popped up lurking in the baccarat section of Evolution licensee casinos, the Football studio table was given a new lobby section called “Top Card”, or at 888 casino “Casino Clash”. 888 casino having embraced the new Evolution live product further than most in having a private Casino Clash table based on the simple toss of coin, higher card wins game. 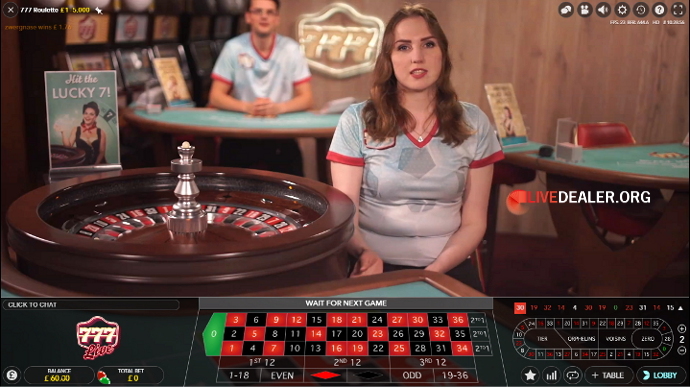 This time you’re betting on a win for Red or Blue, as opposed to Dragon/Tiger and Home/Away (Football studio) with some animated chevron studio decoration to make the table more distinctive. Hopefully new to casino players won’t be overly confused by placing bets on red or blue, coupled with seeing red and black cards being dealt 😛 . It will be interesting to see over the coming months if other Evolution casinos choose to offer private table Top Card games and how they dress it up to distinguish it from Dragon Tiger. Indeed, bearing in mind how William Hill previously tried to woo (excuse the pun) Asian players with the Macau table area you’d be forgiven for thinking this would be one of the first to have a Dragon Tiger table. But the signals coming from Hill have looked less targeted at that particular audience for sometime as Asian comings and goings were observed on the Macau tables. So far, all that we’ve had new from Will Hill is more of the same extra Vegas blackjack tables but without even bothering to give them unique names of the like Pig Wizard, Genie,…. Where exactly to start with this? The push stateside for players and tables to join the online live dealer community gained enormous momentum in recent months with several developments as reported here at livedealer.org. Most recently aptly demonstrated with the launch of Evolution Gaming’s new purpose built live dealer studio in Atlantic City, New Jersey. The ever growing list of land-based casinos on board to provide US based Dual Play roulette tables includes the newly announced Hard Rock Hotel & Casino partnership with Evolution, plus Ocean Resort Casino and previously in June the Resorts Casino Hotel. There was also confirmation in June from big name, online Evolution powered 888 casino an extension to their partnership as 888 prepared to launch live dealer games for the New Jersey market. US developments in recent months haven’t been limited to just Evolution activity though. 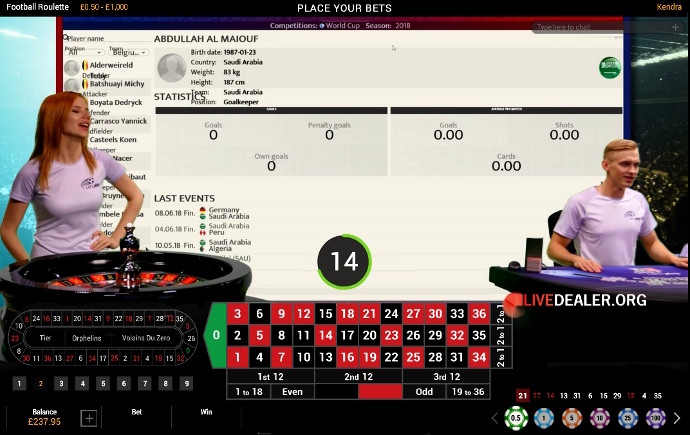 Of particular interest to European players is the latest table from Authentic Gaming who specialise in live streaming in-casino tables from numerous locations around the world including the now live Foxwoods Casino in the United States. Unfortunately, players from the UK have until now been excluded from Authentic tables at online casinos. So, just when I was contemplating relocating to the US…..after all Trump won’t last forever, unless he manages to repeal the 22nd amendment of the United States constitution (the one about no person being elected to the office of the President more than twice) or in typical fashion he denounces the constitution fake and then God forbid uploads himself onto a server 👿 . But enough nightmare scenario digression, back to the main point, some great news for UK players wanting a larger slice of the American action came mid August thanks to the UK Gambling Commission. 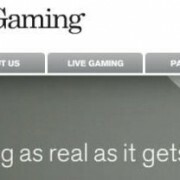 More specifically that Authentic Gambling had acquired the necessary licence to allow UK players to join its tables online. The number of casinos carrying Authentic tables looks guaranteed to increase and diversify now thanks to the UK licence. Especially in light of Authentic’s engagement to Playtech, albeit before any subsequent Fester’s Realms of Fantasy acquisition by Playtech. For sure the live dealer landscape has changed considerably over the last couple of years with the promise of more to come. LD’s latest update to the live casino studio locations map helpfully takes into account all the recent activity stateside. ➡ Evolution Gaming won Live Casino Supplier of the Year for a 9th successive year at the 2018 EGR B2B Awards ceremony. Hardly a big surprise though, I’d say about 2 (or less) on the Richter scale. That was a sure bet worth betting on, even if champions Germany couldn’t mange to get out of the group stages of the World Cup (higher on the Richter scale). Hmmm….maybe the time is ripe for a new casino scale with the purpose of rating live dealer developments, we could call it the LD scale 😎 . ➡ Time to rejoice. If you are a fan of the female form when it comes to dealers, but alas none were to be found previously on Evolution’s London/UK (albeit located in Malta) roulette table, that glass ceiling is no more. Like certain other Evolution Gaming tables that were once just the preserve of male dealers (/croupiers/game presenters/whatever) the ladies have arrived. Evolution can’t claim to be ahead of the opposition on this occasion. 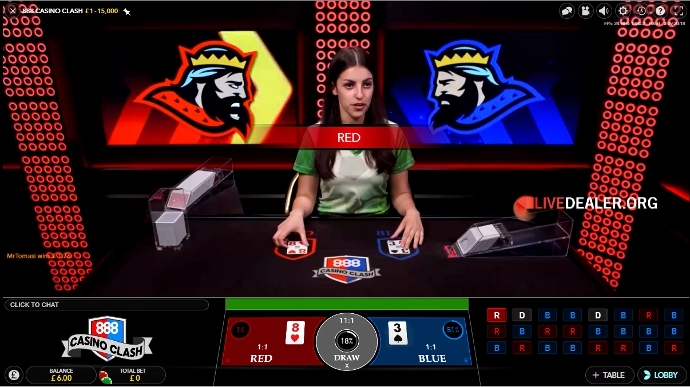 Rival Playtech introduced players to Bianca et al. 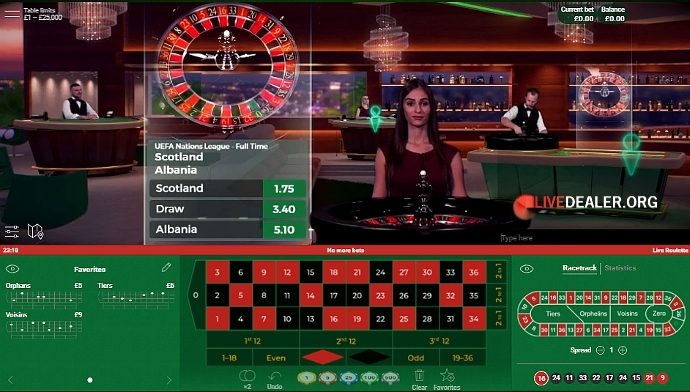 on their counterpart similarly also not in the UK, (despite misleading casino info to the contrary) London/UK roulette table way back in 2013.
Who knows, perhaps a year from now one of the studios will have be running promotions alongside the 2019 FIFA Women’s World Cup….don’t hold your breath though! 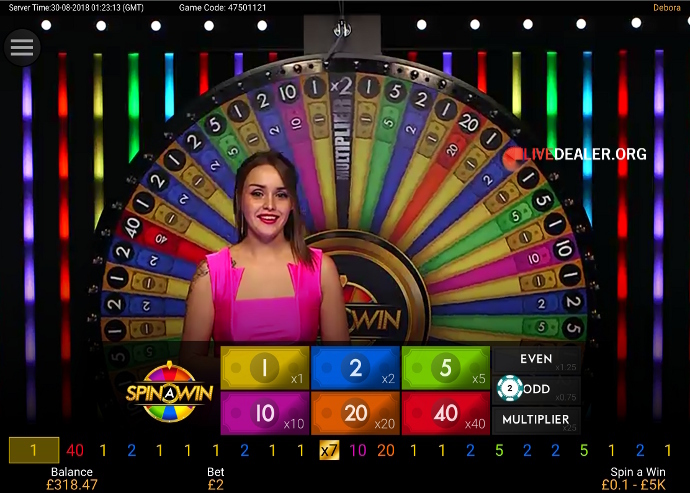 ➡ Spin A Win was relaunched at Playtech following a April hiatus. The Dream Catcher knock-off game underwent some behind the wheel tweaking (simplifying) to remove the potentially very dubious computer controlled aspect of the wheel. It seems beyond belief that Playtech would even open themselves up to cries of foul using covert RNG on a live dealer game. Best case scenario you trust it was genuinely purely random, but why the hell go anywhere near the can of worms that results could be so easily manipulated more in favour of the house. Then again nothing much surprises me about Playtech anymore. As I said in the forums, remember this is the platform that would have you believe you were tipping the dealer all those years when you weren’t. ➡ Live Beyond Live is now PC friendly. The previous mobile exclusive product is now available to play on desktop at Mr Green casino. It’s a smoother experience on desktop, less dependent on having the latest model and operating system unlike when it was launched on mobile. They’ve also made a start adding further “extra” additions to the environment with one of the roulette tables now assigned to sports. Currently that amounts to you seeing odds for upcoming matches and so on like you find at other casino sports related tables. Maybe in the future we’ll get to see some famous sports personalities wandering around as those “revolutionary” background assets, but I’d still prefer something more different such as an olde wild west saloon setting. ➡ For players with deep enough pockets and bulging casino wallets to match Evolution opened Salon Privé Baccarat. 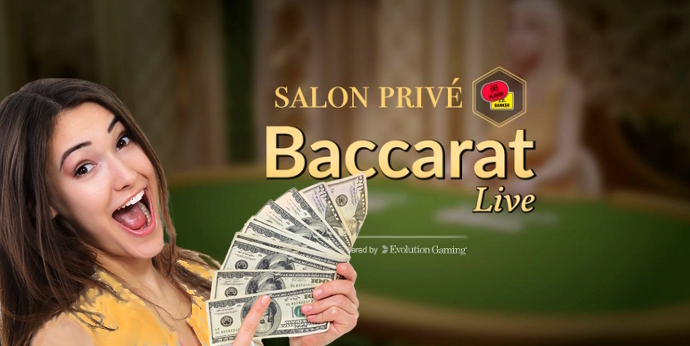 The latest, for your eyes only baccarat table at Evolution complementing the existing, new for 2018 Privé tables at the Riga studio….any takers for Salon Ultimate Texas Three-card Caribbean Hold’em Privé Poker ?? A new little feature easy to go unnoticed from Evolution, especially as not all browsers support it but useful to have at your fingertips, or rather at a mouse click is the ability to request Live Support without having to ask the dealer anymore for assistance. For years Evolution casinos have had the distinct advantage of Live Support available on hand 24/7 from the studio to handle many player requests, rather than simply always being referred back to your own casino by the dealer. 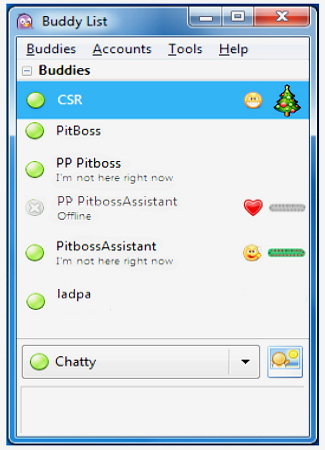 Just a keyboard bash away on Pidgin…some of the array of CSR, Pitboss & Assistant staff historically available to Playtech dealers, but NOT players. 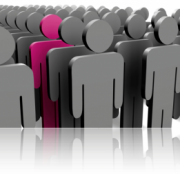 As a player I’ve always much more appreciated and preferred Evolution Gaming’s approach to studio support staff, rather than having clandestine “invisible” CSR personnel with their primary goals (not the World Cup variety) of bolstering apparent general intelligence and game knowledge of the dealers at the expense of openness, game speed and so on. Admittedly the new chat to Live Support option (next to the chat bubble icon) is hardly the most earthshattering feature at Evolution. But it’s a nice addition to the game interface and demonstrates how Evolution continues to think about improving the interface for the better and not just for aesthetic reasons. It’s probably most useful on busy tables where the chat flies past dealer eyes unread, or when you’re being trolled by other “players” who have nothing better to do with their lives.